Album anniversaries get people interested. “Where are they nows?” pique people’s interest. And “Feel old yet?”-style reminders of the passage of time always seem to surprise people. Spencer Elden is a walking amalgamation of all three. 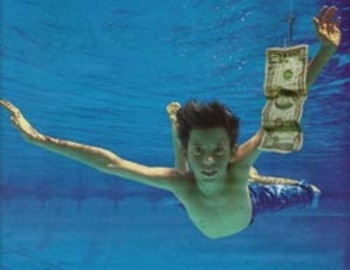 The 25-year-old is best known for being the baby on the cover of Nirvana‘s Nevermind and photographers have been paying him to recreate that famous image for his entire life. He’s recreated the cover for the 10th anniversary and the 17th anniversary, and he’s been called up to speak on the album any time it reaches a milestone. In a recent interview with the New York Post, Elden recreated the photo yet again and explained what it was like to be so widely remembered with something he can’t even remember himself.